Presently, physicians involved in the prescription of vitamin D demonstrate a variable clinical approach to the screening of its deficiency, the modalities of treatment and the monitoring of therapy over time. In order to overcome these shortcomings, The Italian Association of Clinical Endocrinologists (AME) appointed a task force consisting of Dr. Roberto Cesareo and his counterparts to review the literature about vitamin D deficiency in adults and for defining the optimal management of vitamin deficiency in clinical practice. What cut-off defines vitamin D deficiency? Even though 20 ng/mL (50 nmol/L) can be considered appropriate in the general population, we recommend maintaining levels above 30 ng/mL (75 nmol/L) in categories at risk. 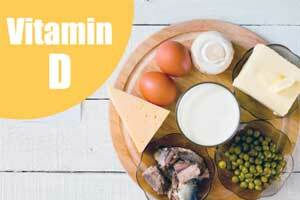 Whom, when, and how to perform screening for vitamin D deficiency? Categories at risk (patients with bone, liver, kidney diseases, obesity, malabsorption, during pregnancy and lactation, some elderly) but not healthy people should be screened by the 25-hydroxy-vitamin D assay. Whom and how to treat vitamin D deficiency? Beyond healthy lifestyle (mostly sun exposure), we recommend oral vitamin D (vitamin D2 or vitamin D3) supplementation in patients treated with bone active drugs and in those with demonstrated deficiency. Dosages, molecules, and modalities of administration can be profitably individually tailored. How to monitor the efficacy of treatment with vitamin D? No routine monitoring is suggested during vitamin D treatment due to its large therapeutic index. In particular conditions, 25-hydroxy-vitamin D can be assayed after at least a 6-month treatment. Consider serum parathyroid hormone (PTH) measurement when vitamin D values are lower than 30 ng/mL (75 nmol/L), particularly if tested in summer and autumn.